Thru my first man on the field yesterday, this nugget of understanding came thru his team that just rocked my world and allowed me to see things from their perspective that actually surprised me to the core. They said there is three ways they work with us and immediately I could see him sleeping his bed and his team dropped down what looked like a bunch of wires, something you might see in a OR or ICU unit, except the wires were all dangling from about 4 feet above his sleeping body. They said this is when they work with him, with us, in our unconscious state, when we are asleep. What excited me about this visual, his bed was pure white, sheets, pillowcases, comforter, all white. He told me that is indeed how he chooses to create his bed, all white. What I had seen was actually his bed. Great way to kick-start this crazy day!!! Then they said there is the semi-conscious state and gave me an image of being in meditation. HUH??? Meditation is semi-conscious… hey!!!! As they explained it, we are not fully participating with our whole body in whatever event we are participating in via meditation, even tho we are there in the event(s) we are only half there without expanded consciousness. But this is equally a crucial part of our evolution. the semi-conscious state of participation. And then there is the conscious state, fully active, participating in our day-to-day lives with our body and consciousness together. However, as I am currently being reminded, I spent the first three years of this path in a room above my bathtub learning from Sananda and Franklyn (my bud from the Pleiades) how to work the energy of the physical body. After my three years of training there, I wasn’t released to go do energy work, I ended up doing readings, understanding in real-time the language of light, of metaphors and symbolisms that is the universal language of spirit. Three years after that and many more meditations and understandings later, I was let loose in the field called massage, which changed energy I thought I knew about the body, the soul and its communication system. We can only understand so much thru mediation, kind of like going to school, it is a crucial training ground, but if you never take into your physical world as an application, it’s just great information… the semi-conscious state. What I find interesting about this man, who really changed what I thought I knew about this new crazy quantum surf board that we have, is there were no colors on it. From what I understood, the colored energy comes from applying what you are understanding, seeing, experiencing thru your meditations into your physical life. He is just now being hooked up with a massive intergalactic consciousness (what we would think of as an ET incarnation of his soul) and streaming the energy to his unconscious state and now he must take this relationship into the semi-conscious state of meditation. Even that allows the colors of your surf board, you living energy system to come online. Speaking of your living energy system, one of the readings yesterday gave me yet another surprising view to this… I don’t know, platform of life, surf board, I don’t know what the hell to call it, lol. I could see her round multi-colored platform of life-like everyone elses, about 8 feet above the ground, however she had an interesting twist and much-needed added information. At the ground level was this beautiful flame of fire, representing both the flames of purification as well as the flames of passion. The greater the purification, the clearer the passion. Half in and half above this easy 6-7 foot flame was the craziest image of her…. 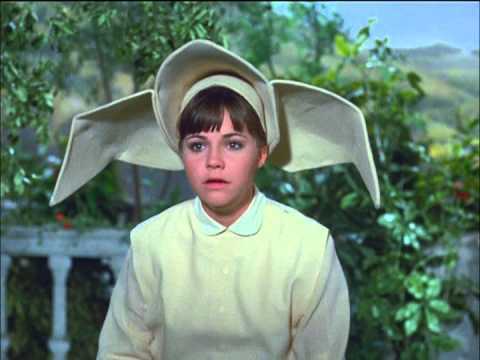 the flying nun. She understood this sentence instantly, and dammit if I can remember what she said. I knew she should have emailed it to me lol. But let me summarize by saying your passion will lift you up when you are not weighted down with life. But lets look at how she was able to fly too, thinking of the winds of change that blow thru us quite often these days: Sister Bertrille could be relied upon to solve any problem that came her way by her ability to catch a passing breeze and fly. Do we really use the currents of winds to take ourselves in new directions?? Speaking of winds of change… Another reading had me scratching my head. First of all, I got a total memory wipe of who this lady was I was connecting to, even tho I have been reading for her for over a year and her incredible charity to me and my son this past christmas leaves her embedded in our hearts, I could not recognize her name. Spirit is good like that. Her image was hanging onto the to south edge of her platform of life, suspended parallel to, nothing really. There is no earth, no sky, no anything that I see beyond this 25 foot circumference of a circle platform. But she did have a death grip on the edge of this platform, her body tho, dressed in this drab gray plain jane outfit suspended in air. What the hell?? On the outside of her life, beyond where passion and desire lives (which is that platform) the winds of change were blowing hard. I had to giggle when she said I tell her that every time I connect to her. lol. well, time to use them!!! She is in a job she doesn’t love, but is only a year or two away from full retirement and is waiting that time out. Yet, she does know what she is passionate about and wants to do that as her life’s work, hence the grasp she has on her platform, but she gotta get that whole body involved, her whole life, even if it starts as a side business/adventure. I realized something important with these two incredible lady’s, the body itself and the platform of life are one living tapestry and must work together for the outcomes of desires. Going back to my flying nun (giggle) I was able to see her move up thru the center of the platform of life and as she used the energy of the fire/passion (and I got a relationship to a hot air balloon) to lift her up, suddenly her entire outfit matched the multicolored design of her platform of life and as she moved upwards like 4 inches, I could see that the energy of the platform and her attire was one fluid energy. 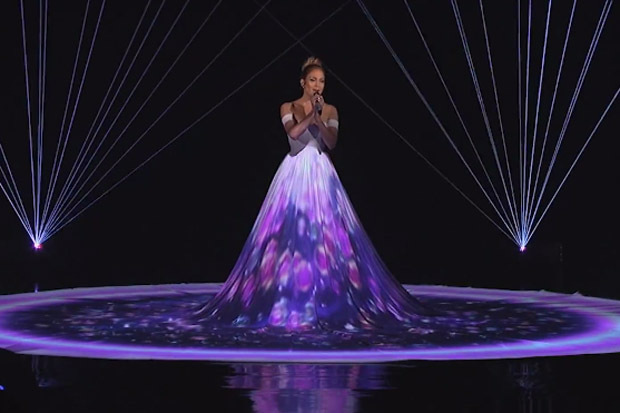 As she raised her body upwards, the energy system on the platform made this movement as if it was moving with her. 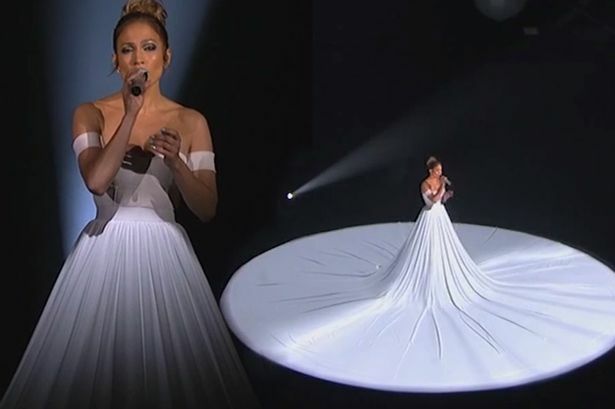 Both pictures are the same gown and everything changed thru her song. This is how we now work with this platform of life, one living tapestry!! If your body is not on this platform then you using half your power and vise versa. Imagine life as you lock and load into one living energy system, consciously!! I know more information came thru yesterday, but now I am blank. So, I will leave this to simmer as I get ready for another day of wild, crazy adventurous information and visuals. A little update on my daughter, so much better yesterday than the day before. She slept thru the night for the first time. She is even starting to take responsibility in some areas. You are all working miracles with you love light, thank you for helping us in such a magnificent and validating way. Dare I even say, she read a book for the first time, well probably ever!! Things, they are a changing because of your Love!!! Thank you so so much!! (((((HUGZ)))))) filled with gratitude, love and pure excitement!! This entry was posted in Article, Links, reblog and tagged 2015, 26 April, Conscious. How Are You Living Life?, Disclosure, Earth, Lisa Gawlas, news, Semi-Conscious, spiritual, Spiritual evolution, Unconscious, World. Bookmark the permalink.